Constructing a permanent building structure takes both time and money. If you’re like most people, those two commodities are often in limited supply. Yet that basic fact doesn’t change that you may be in need of either more workspace or more living space. So what do you do? If your current space needs aren’t cutting it or if you’re just in need of some new space, whether home or business-related, you could go to a bank and take out a loan to build the new structure you need. In fact, it might feel like your only option. Then, of course, you’ll be paying for your structure for years to come. Is it worth it? Maybe, but you should know that there is a more affordable and less time-consuming option for getting the new structure and space you need. If you’re a company in need of a place for your employees to work in a safe and comfortable environment, many businesses are taking advantage of modular buildings. With modular building systems, you get the durability you would expect in a more traditionally constructed building structure, but at a cost that is gentler on your budget. These sectional prefabricated buildings are designed for flexibility. They are constructed using multiple modules made from metal. The modules are pre-designed and pre-constructed. You order the type of module you feel would be fit your needs, and the modules will be shipped to your location and assembled to make a durable and permanent structure. When you’re thinking of what type of space you need and how much space you need, with prefabricated buildings, you can think of one room or multiple rooms to create one large structure. You could have a whole office building constructed from prefabricated modular building panels. There is also the convenience of having your structure installed without the mess, dirt, and debris often associated with the construction of a traditional building. You can even stack the modules on top of each other, creating a multi-story building configuration. When you buy a modular office building, your building will be designed and constructed to meet local building codes. You’ll have a well-lit space with adequate air conditioning for all of your employees to do the work that they do best. Constructing a traditional building can take several months, but a modular prefabricated building can be constructed in a fraction of that time. Some buildings have taken as little as ten days to construct. The time you save combined with the quality of the building make this a worthwhile consideration for your space needs. When you’re looking for modular buildings for sale, you should be aware that not everyone you find will provide the same level of quality and customer service. 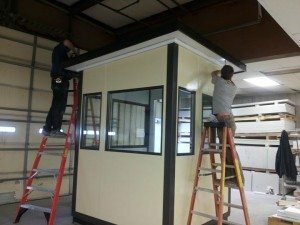 Be sure to look for a company with an established reputation for selling quality modular prefabricated buildings and who cares about their customer’s satisfaction with their building needs. You’ll want to know that the prefabricated modules you buy will be made of the utmost quality of material because you want to know that your building will last for years to come. Even if you’re not using your building as a permanent structure, you want a building that truly is portable and will be durable even when it is moved from one location to another. 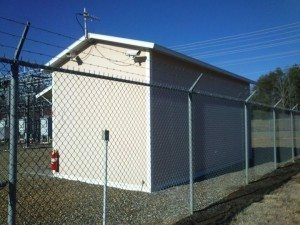 No matter what type of building purpose you have, there is likely a type of industrial modular buildings that will meet your particular needs. These buildings can be used as long-term permanent buildings that could be ideal for housing you and your family. Many schools use these prefabricated buildings to provide more classroom space for their rapidly growing student population. Churches, likewise, have found these buildings to be an ideal solution for their educational space needs. They can be used to house military professionals as well as civilians. As mentioned before, they’re ideal for providing office space for whatever type of business you operate. Whatever space needs you have, before you consider spending the time and money on a traditional building, consider how satisfied you could be with metal modular buildings.